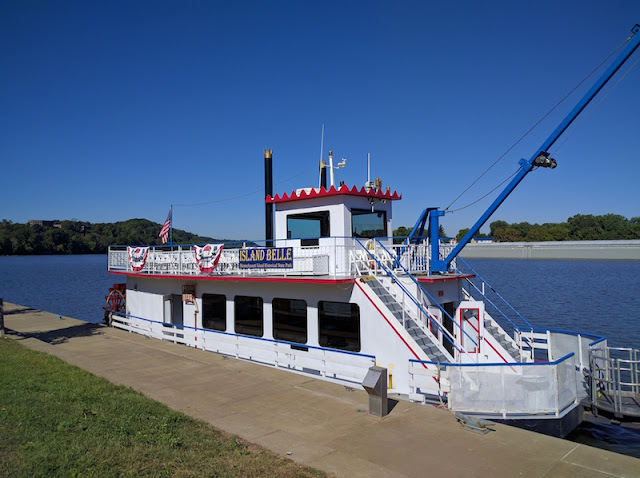 The fun starts with a ride on a genuine paddle wheeler boat. 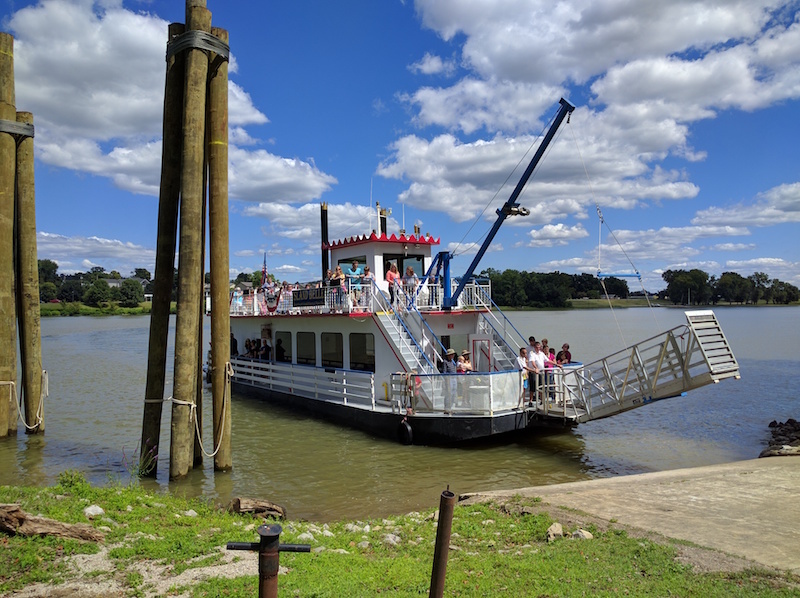 It's not a steam ship, but it's still a fun way to see the Ohio River and enjoy the scenery as you approach the island. 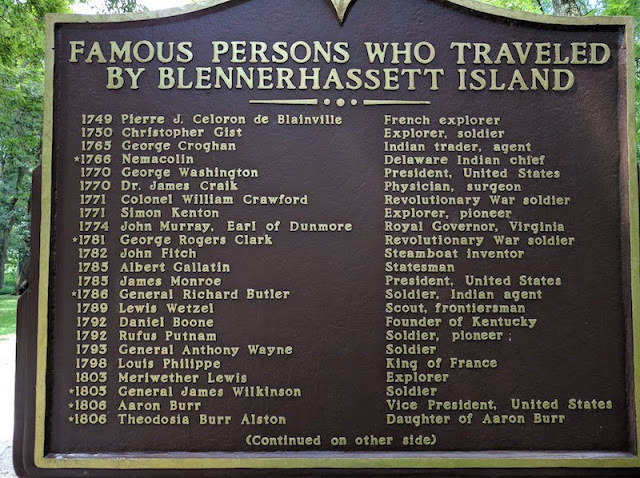 This gives you an idea of what it must have been like back in 1806 when Aaron Burr first landed on the island with the aim of enlisting Blennerhassett to his cause. 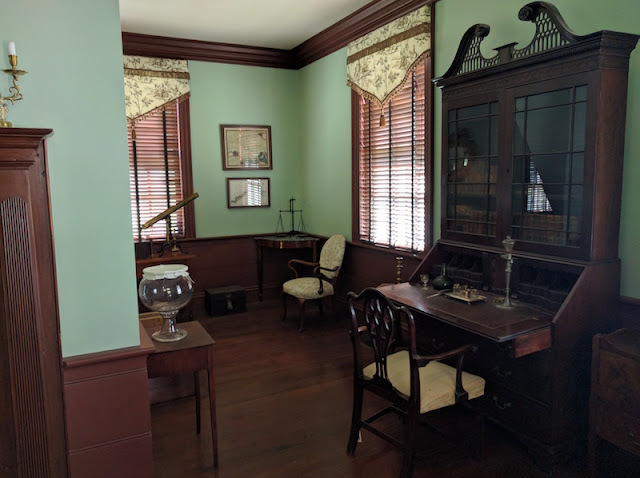 Guided tours take you through the house. 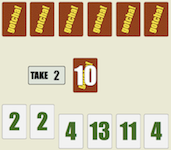 There are horse-drawn wagon rides for the family, and a gift shop. Inside the mansion, the rooms are decorated with period furniture. Some of the furnishings are from the home when the Blennerhassetts lived there. 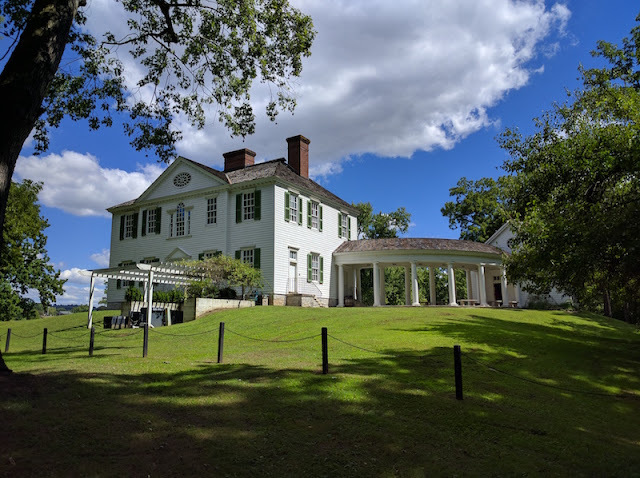 The home itself is a re-creation built about 30 years ago because the actual mansion was burned down shortly after the Blennerhassetts were forced to flee town after the arrest of Aaron Burr for treason. 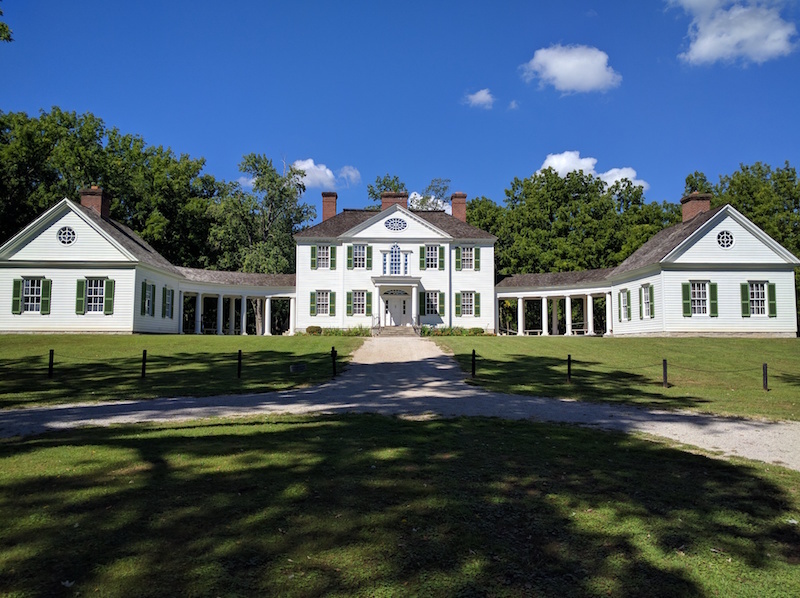 More history about Blennerhassett Island Historical State park is on Wikipedia. 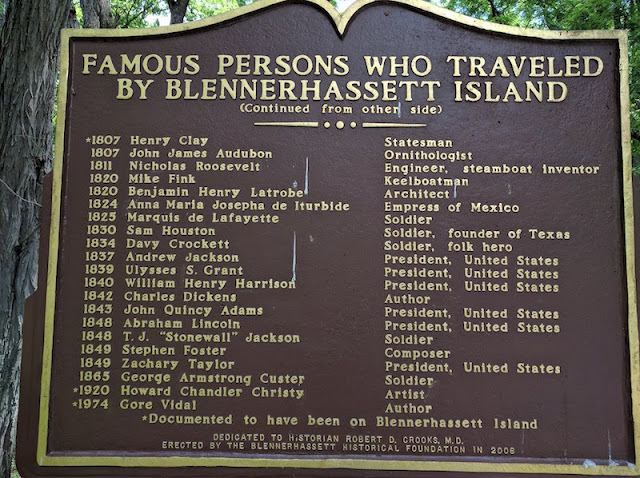 Park hours and information are on the Blennerhassett Island Historical State Park web site.